You can enter into Safe Mode. Anyhow, you must know the reason for bootloop of your Zenfone, for instance, My Zenfone Bootloop in light of the fact that unintentionally introduce awful applications/apk. This Method won't delete your information. 1. Turn off your Zenfone. 2. Turn on your Zenfone and when it shows the Asus Logo quickly press the volume up until it enter the safe mode. 3. You can fix the problem of boot loop by deleting the cause of it. 4. 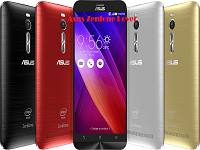 Restart you zenfone and if the boot loops is fix or not. Note : This method will erase all your data. 2. Press Power button + Volume to enter Droidboot mode. 3. Choose the Recovery Mode. Wait patiently. 5. Choose Wipe data/Factory Reset and wait until its done. 6. Choose Wipe Cache Partition and apply update from ADB. See here how to flash in ADB.